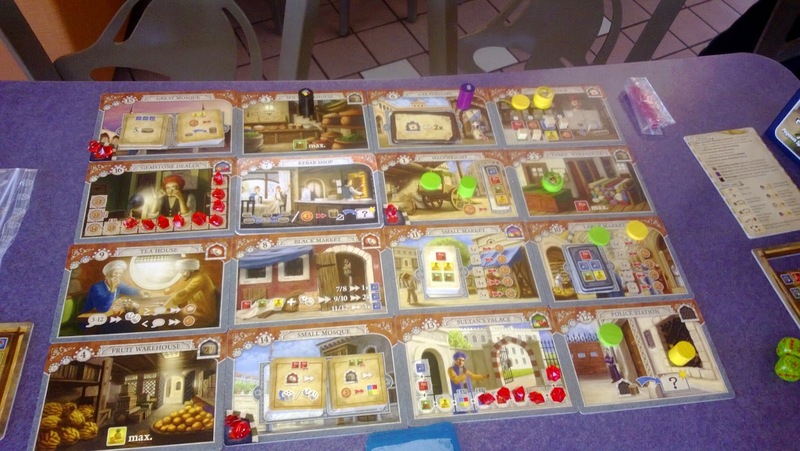 Istanbul (2014), which came out early this year, is a game I visited briefly on this blog before I had a chance to play it. 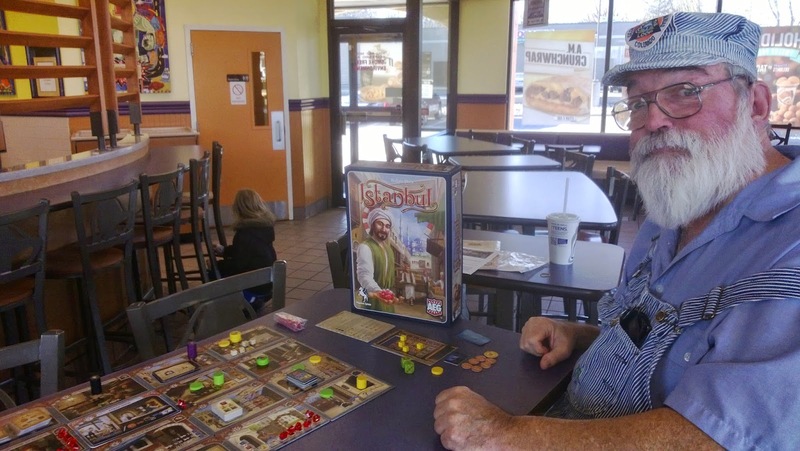 I've corrected that situation with a game at the Fall Hoopla where Ken Lewandowski taught me and several others how to play and since then my friend Tom picked up a copy and we've played half a dozen games together. This is one of those games where you are solving a puzzle in a variety of possible ways and trying to do so prior to any other player solving it in whatever way they choose to do it. There is conflict when you want to do the same action as others, which you can pay off if you have the coinage, but additional conflict comes from others taking an action ahead of you and that particular action going up in cost for those who come later. Because the board can be reconfigured in a myriad of ways, the replayability for this game is very high. I do suggest getting hold of the "Kebab Shop" replacement tile for the "Fountain" because it does make the game much more fun and friendly. 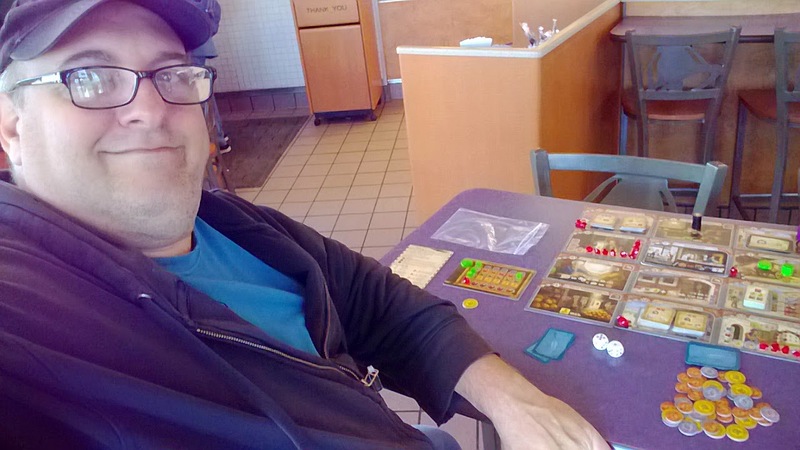 While you're here, check out The Dice Tower's Ryan Metzler's video review as well.